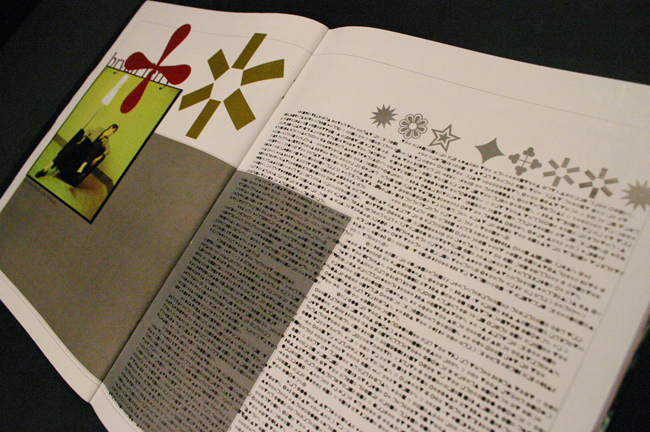 I was reading We Love Magazines yesterday and I came across the story of David Carson (whom you can read more about if you click the shared image at the top of this post) who applied the font Zapf Dingbats – which consists of symbols only – to what he thought was not a very interesting story and ran it like that in the magazine Ray Gun in 1994. That is just bloody brilliant! And Carson’s legacy also lives on as a valuable lesson to editors: never, ever supply substandard copy to the art director. Or else. It makes me wonder though – do we now take our designers for granted? Are they treated as puppets of the editorial staff or can they just Dingbat what they think is terrible copy?